No Fees. No Commissions. Put More Cash In Your Pocket. It’s That Simple. We Buy Houses Anywhere In Houston Quickly For Cash – No Hassles, No Obligations. No Stress! 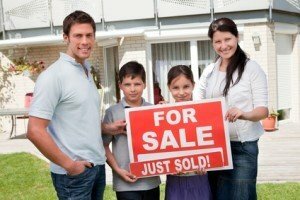 Sell your unwanted Houston real estate! Sell your house quickly because of the stress or burden it’s causing. You just want “out” of that property without having to make any repairs. We can help! We buy houses in Houston as is, meaning you walk away without making any repairs. We can provide you with a fast closing, or if you need time to move or make arrangements, we can close on your time frame. Other company who buys houses will make promises but we do what we say. Sell that property FAST without any hassle, you’ve come to the right place – we buy homes AS IS, meaning no contingencies and you don’t pay any commissions (we are not Real Estate Agents or Brokers – we are local cash home buyers) and in most cases you won’t pay any of the closing costs. This means you walk away with more money in your pocket. We help homeowners who want to sell their house fast all over Houston, including Harris County, Fort Bend County, Montgomery County, and Galveston County. Since we can pay with cash, we can close very quickly or on your timeline. We’re local, reliable and your trusted We Buy Houses Houston company that gives you an all cash offer but more importantly we guarantee to treat you FAIR. Working out an empowering home deal is creating a WIN WIN for you. We take pride in creating a simple solution that empower you to make important decisions that are in your best interest. Let us take over the burden of your unwanted house today. You’ve tried to sell your Houston house but are running into major roadblocks. You probably even tried calling a local real estate agent. Sometimes selling a house the traditional way with a Houston real estate agent is simply not the best for everyone. As you know, there can be lots of pitfalls when selling a house the agent route, including: finding an agent who you trust and who can deliver on their promise (selling your house quickly), signing a contract that binds you to an agent for a certain term, having to clean up and repair the property so it shows well, the piles of paperwork you have to sign, shuffling paperwork back and forth from buyer –> to agent –> to you… and back. The biggest issue with trying to sell with a local real estate agent or selling it yourself is often times retail buyers will tie up a home for weeks and pull out on the deal at the last second… or have their bank loan fall through. It can all add stress because you’re still waiting for the house to sell and still making house payments, and in the end after paying the agent fees, you may or may not be ahead of the game. We at Empowering Home Deals work differently. We will provide you a fair all-cash offer on your house within 24 hours of submitting the short property info form below and can close when you want to close. If the house is in terrible shape (remember, we buy houses too) and you don’t want to (or can’t) fix it up… NO problem, we’ll deal with it for you. We take care of everything. If you need to get something done quickly, we can close in as little as 7 days because we buy houses in Houston TX with our own cash and don’t have to rely on traditional bank financing. (Click here to see how our process works). Our goal is to make your life easier and get you out from under that property that’s stressing you out… while still paying a fast, fair, and honest price for your house. We help property owners just like you in Houston Texas and all of Harris County, in all kinds of situations. From foreclosure, divorce, death of a family member, burdensome rental property, and all kinds of other situations. We buy houses in Houston and the surrounding areas. Sometimes, those who own property or inherited property simply have lives that are too busy to take the time to do all of things that typically need to be done to prepare a house to sell on the market… if that describes you, just let us know about the property you’d like to get rid of and sell your house fast for cash! We Buy Houston Houses in Any Condition, for Cash and can give you a fast no obligation offer to buy your property.